Take 4 capsules morning and 4 capsules evening. 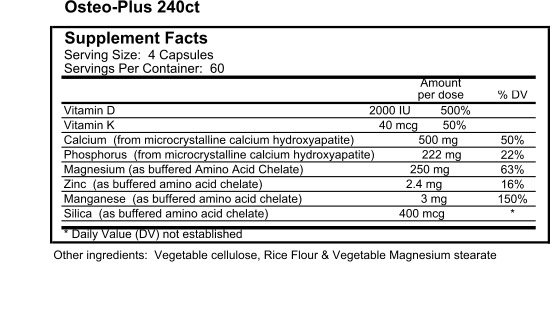 Each container contains 240 capsules. 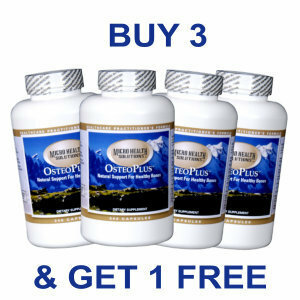 It is strongly suggested that you take two fish oil soft gels with each serving of OsteoPlus. Not only will this address your daily mineral requirements, but your Omega-3 Fatty Acid requirements as well. Omega-3 Fatty Acids are absolutely essential for human health and wellness.